Today’s main news: Prosper loan originations up 27% year-over-year, over $2B co-sponsored securitizations closed. Funding Circle launches new borrower referral incentive. Renren investors seek to block asset sales. PayMate acquires Z2P Technologies. Today’s main analysis: Singapore’s biggest bank vs. China’s tech giants. Today’s thought-provoking articles: 80% of startup money goes to three states. The Sharestates story: $1B in 3 years. U.S. online lending model is “unproven.” What is Libra Credit? Banks struggle to combat cyber crime. Are blockchains the answer to fairer lending? Will Wells Fargo hurt Zelle trying to improve it? Where Bank of America uses artificial intelligence. Where banks, fintechs want more regulation. How post offices can be banks. Citizens Financial to launch online consumer bank. Now is the time to refinance student loans. Funding Circle launches new borrower referral incentive. HMRC updates crypto investors on tax confusion. Technology is key to banking success. Fintech most popular sector for high net worth investors. Renren investors try to block asset sales. Soft Chinese tech IPOs test next wave of listings. Bondora to roll out new product. Misbehaving Australian banks are causing global pain. Citi signs $100 million trade finance deal with Asian Development Bank. Australia: The finalists for Aussie fintech awards. New Zealand: Robot financial adviser gets FMA exemption. India: PayMate acquires Z2P Technologies. Canada: Clients’ digital ways have advisers jumping into fintech. Asia: Singapore’s biggest bank vs. China’s tech giants. Brazil: Morgan Stanley seeks fintech market. Prosper today reported financial results for the first quarter of 2018. 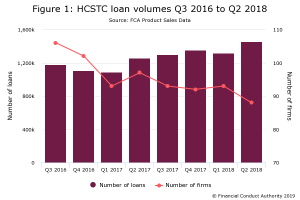 Loan originations increased 27% year-over-year to $744 million, driven by strong demand for the company’s personal loan product and stable funding. Total Net Revenue, which includes the non-cash impact related to warrants to purchase preferred stock, was flat year-over-year at $30.5 million in Q1 2018 compared to $30.8 million in Q1 2017. Core Revenue(1), which excludes the non-cash impact related to warrants to purchase preferred stock, increased $11.6 million or 34% year-over-year to $45.7 million in Q1 2018 compared to $34.2 million in Q1 2017. Net Loss decreased by $12.6 million to ($11.4) million in Q1 2018 compared to a Net Loss of ($24.0) million in Q1 2017. Adjusted EBITDA(1) increased $13.6 million to $4.5 million in Q1 2018 compared to ($9.0) million in Q1 2017, the fourth consecutive quarter of positive Adjusted EBITDA(1) generated by Prosper. Baird: And the microfinance industry is — $30 billion a year around the world is lent in $500 chunks to small businesses, near a 100% repayment rate. One percent of start-up investment goes to African-Americans. Two percent of start-up investment goes to women. There are a lot of people who are overlooked. So roughly 80% of start-up investment goes to three states: New York, Massachusetts, California. If you’re in Ohio or Florida or Nairobi or Mumbai, it’s really hard to get your idea into the system. BuildDirect, the first technology platform for the home improvement industry, today announced its partnership with Affirm Inc., a financial technology company that provides transparent payment alternatives to traditional credit. Now, U.S.-based BuildDirect customers have easy access to flexible and transparent financing options to pay for home improvement and renovation materials over time. At the point of sale, shoppers will see exactly how much they’ll pay in fixed monthly installments over the term they choose. Digital banking has been a big positive for the financial services industry, though it has opened companies to greater cyber risk; cyber criminals now have a lot more entry points when it comes to getting access to funds illicitly; banks have increased their spending on defense but it isn’t enough as they also need to construct better, more secure systems; the CEO of Standard Chartered writes in the FT that banks can better utilize the data they collect, design tech better and work more closely with governments to catch bad actors. The advancement of blockchain technology, this is poised to change. Through the technology, anyone anywhere in the world can raise financing from peers without having to rely on the traditional credit scores and the often heavily bureaucratic conventional mortgage processes. Blockchain solutions such as Homelend are making it possible for borrowers to directly reach lenders without depending on any intermediary and with no paperwork. The whole process is safeguarded by smart contracts to ensure that all parties in the deal adhere to their part of the bargain. According to Aneeza Haleem , a senior account manager at Cognizant Technology Solutions, blockchain-powered peer-to-peer mortgage financing significantly reduces the costs involved in the mortgage process. The irony of the explosive growth of mobile P2P is this: As consumers get more comfortable with paying one another through mobile devices, they’re thinking of P2P less as a service that one should find within a bank’s app. This is a problem for Early Warning’s Zelle, the bank-run P2P network whose main selling point is its integration with banks. It’s a sharp contrast to rivals such as Venmo, which styled itself on a social media app; and Facebook and Apple, which took their own messaging platforms and blended P2P payments into the interface. Capital One has acquired San Francisco-based digital identity start-up Confyrm as it seeks to capture the market for consumer identity services. Financial details were not disclosed, but as part of the deal Andrew Nash, founder and CEO of Confyrm, has become managing vice-president of Capital One’s consumer identity services. No word on what happens to the rest of the staff. Confyrm was founded five years ago and offers help against online fraud. Bank of America spends $3 billion developing and buying technology every year, and about three times that on keeping its existing IT infrastructure going, says David Reilly, global banking and markets technology chief information officer. As you might expect, some of that goes to artificial intelligence technology. The bank does not disclose how much. An old-school fraud analytics program might see a customer using a card in a place they have never used a card before and block the transaction. Banks, fintech firms and data aggregators are asking regulators to provide more clarity on how to handle consumer data and who is responsible for leaks when it is shared between firms — a request that’s seemingly a reversal from the deregulatory approach the industry often takes. The potential liability stemming from consumer data has become a critical concern for the financial industry as more data aggregators and fintech firms rapidly enter the space, seeking access to customers’ bank account information in order to offer loans and other products. Now, there are a couple different ways Congress could build banking into the U.S. Postal Service. The first approach would just cover the basics. That means offering low-dollar checking accounts and debit cards to low-income earners. That would at least offer basic financial services to all Americans, regardless of wealth. And it probably wouldn’t be too tough politically because the big banks typically aren’t interested in these customers. But Gillibrand’s proposal would go further, allowing the postal service to also make loans of up to $1,000 with a super low interest rate around 2 percent, even to the poorest Americans. Because many of those loans would be at risk of not being paid back, some experts say the interest rate will have to be higher, maybe 25 percent. But that would still be a lot lower than rates from payday lenders, which often have people pay back three or four times what they borrowed. Refinancing your student loans from pharmacy school can potentially save you a significant amount of money while providing the convenience of making one payment a month. Keep in mind refinancing may not be for everyone. Individuals with a poor credit history, low salary from a pharmacy residency or fellowship, or those who want to keep the provisions in federal loans may want to closely consider their options before jumping right into refinancing their loans. The UK’s third-largest lender to small businesses said the borrowers may need the cash to grow, refurbish, buy stock or equipment, hire more staff or simply boost their cash flow. However, a HMRC representative has told Peer2Peer Finance News that the tax office will deal with cryptocurrency related tax bills “on a case-by-case basis”. The 2017-18 tax year saw huge volatility across the cryptocurrency sector, with Bitcoin reaching a high of £13,840 in mid-December before ending the tax year at approximately £4,750 per coin. This has led to confusion among retail investors regarding their tax liability, particularly if they sold out of the market at a high, then reinvested the profits only to see any gains wiped out. What was the catalyst that led to the founding of Oakam. The loan products that Oakam offers. The difference between small dollar loans in the US and the UK. How Oakam is able to find their customers. What percentage of their customers apply for a loan on a smartphone. Why they still have physical stores where people can apply for loans in person. How they have refined their underwriting models over the years. How they are dealing with increased fraud via their online channels. The interest rates they charge. How their customers are able to reduce these rates for future loans. Antony Jenkins, former CEO of Barclays and now head of 10x Future Technologies, writes in the FT that technology is key to the battle with banks; having technology that is more nimble and focused on the customer will help to better position challengers; UK challengers banks have found it hard to compete against the big names, even with recent consolidation; understanding what the customer needs most and allowing them to access services anytime and anywhere is what firms should focus on. A group of Renren Inc. investors are trying to block the private sale of company-owned assets to a consortium that includes its own top executive and major shareholder SoftBank Group Corp.
Renren announced the complex deal in April, which it said was necessary to address concerns that the SEC might deem it an investment company — forcing its delisting if it failed to obtain relevant licenses. The letter accused management of trying to transfer the assets at values equal to or lower than their book value, neglecting their duty to smaller shareholders and misrepresenting certain financial statements. For example, it says the shares in SoFi — one of America’s biggest student loan refinancers — are being sold at a valuation of $269 million when they could be worth double that amount. Steven Eisman, famous for successfully shorting the US subprime market before the onset of the 2008 financial crisis, has said the online lending business model used in the United States is unsustainable, and that losses from Canadian mortgages could widen. The one pocket of financial market anomaly in the US was online lending, where, he said, the underwriting of peer-to-peer credit was unproven, as selling a loan to investors such as hedge funds and other financial institutions was an unsustainable business model. “The problem [with P2P lending] is that selling a loan [online] is not the same as selling a book. You buy a book on Amazon and that’s the end of the transaction. When you make a loan, that’s the beginning of a relationship. The question is how you manage that relationship,” said Eisman. More than a dozen technology companies from China are rushing to go public abroad, in an enticing opportunity for investors but one that has generated poor returns recently. Shares of most Asian tech companies that have listed in New York and Hong Kong since the start of 2017 have notched lackluster performances, with the bulk trading below their initial public offering prices after strong early gains. Ridehailing giants Uber and Didi Chuxing, based in San Francisco and Beijing, respectively, lead the list of most valuable private companies around the globe. And moving down the rankings, the pattern set at the top continues. A total of five of the companies are in the ridehailing industry, and 26 of the 30 are based in either the US or China. Libra Credit is offering a decentralized lending Ethereum-based ecosystem that helps users get open access to credit anywhere and anytime. As long as a user has digital assets, they will be able to borrow money from Libra Credit by using those digital assets as collateral. Additionally, these users will be able to build an international credit history – a concept that Libra Credit and its partners plan to push to be recognized globally. Libra Credit plans to charge a fixed 8% annual interest rate charged by Libra Credit, which is party enabled by its partnerships with traditional finance institutions. The rate is competitive with that of other peer-to-peer lending platforms such as Lending Club and Salt, but isn’t tied to the availability of a peer match. Australia’s four biggest banks — Commonwealth Bank of Australia, Westpac Banking Corp., National Australia Bank Ltd. and Australia & New Zealand Banking Group Ltd. — have been plagued by a string of scandals. The accusations run the gamut from giving misleading financial advice to trying to manipulate a benchmark interest rate. Simmering public resentment — stoked by a sense banks were gouging fees to fuel record profits and executive pay — boiled over last year when Commonwealth Bank was sued for systemically breaching anti-money laundering rules. The government has announced tough new penalties for corporate wrongdoing and beefed up the regulator’s powers; analysts have trimmed earnings forecasts and speculate future legislation could force the biggest banks to sell off advice businesses. All this comes at a time when bank profits are under pressure from a slowing housing market, rising costs and increased competition. Most of the banks are trying to simplify their operations and sell non-core operations. Global financial institution Citi is expanding its existing partnership with the Asian Development Bank (ADB) to share risk in trade finance transactions, reports in The Financial said Friday (May 11). The ADB’s Trade Finance Program reached a deal worth $100 million with Citi that sees the financial institutions (FIs) sharing risk on trade finance transactions in an effort to bolster support for trade and access to finance across Asia. 89 companies and individuals were chosen for Australia’s only industry-backed fintech awards, from a record field of more than 200 entries. The country has its first robot financial adviser after KiwiWealth was given an exemption by the Financial Markets Authority from the current law which requires humans to give financial and investment advice. But Mr Bishop said it would still have human advisors offer detailed advice and have control of the robot. Widely known on the Street for its empire of financial advisers and investment products, Power Financial has spent $320-million in the fintech sector – with more than half the funds being allocated toward online robo-adviser Wealthsimple. Gupta credits his early recognition of the threat to his early days in Citigroup’s transaction banking division, unusual for a bank CEO, who tend to hail from the retail or investment banking arms of their institutions. That background taught him both the nuts and bolts of banking and the importance of technology, Gupta said. He also dabbled briefly but unsuccessfully in the startup world, when he quit Citigroup in 2001 to found an Internet portal in India, around the time the dotcom bubble was bursting.